The new ATN X-Sight II powered by Obsidian II Core, utilizing HD optics and the first ever HD micro-display turns this Day/Night rifle scope into a true powerhouse. Make your shots at ranges previously undoable with a digital or a night scope. Combined with the Icarus Nova 5 IR illuminator and ATN battery pack you have the best combo for night time shooting. 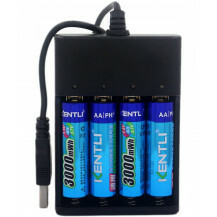 The ATN Kentli Rechargeable Batteries With USB Charger gives you plenty of juice after you've charged, simply pop and replace. For charged batteries when you need them. The Icarus Nova 5 features a focusable 50 mm lens allowing it to focus to the maximum level and give extreme range. It includes a Picatinny mount with adjustable Windage and Elevation settings so that you can aim the IR directly at your target when viewing at long ranges. OBSIDIAN CORE & UI - At billion cyсles per second, the ATN Core pushes optics into the 21st century! 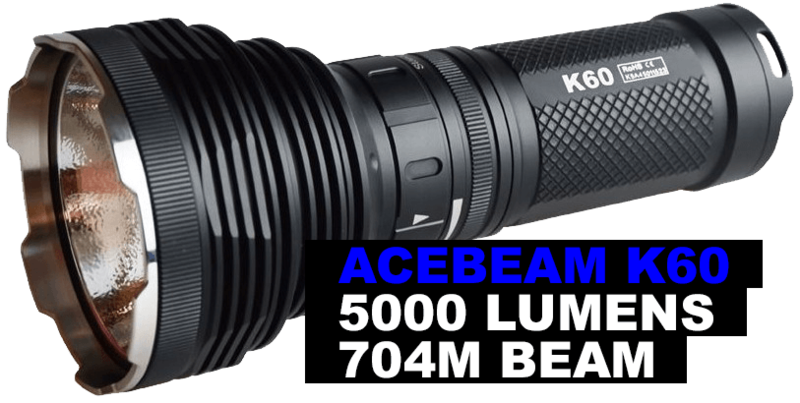 Utilizing high-resolution sensor with distinct night vision capability. The Obsidian Core is a highly specialized computer that is designed to run a suite of sensors and crunch huge files in a blink of an eye. It is easier than setting up your smartphone and like your phone offers plenty of customization to make your ATN X-HD device. SMART SHOOTING SOLUTION - Ballistic calculators were never this easy. No more charts, complex reticles, and calculators. The ATN Obsidian Shooting Solution does it all. Range in with your Smart Range Finder, enter your wind readings and let the Obsidian Core do the rest. Turn through the wind, change your incline angle, adjust distance and instantaneously your point of impact will shift to have the perfect shot every time. RECOIL ACTIVATED VIDEO (RAV) - You have more important things to worry about than remembering to press the record button before each kill shot. But boy wouldn’t it be nice to have that video afterwards? Recoil Activated Video (RAV) takes care of all your worries. Just relax and focus on your game and let the Obsidian Core do the heavy lifting. When you set your video recorder to RAV, the system buffers everything your scope sees. As the trigger is pulled you are left with a full video of what you saw before the shot was taken, the moment of, and as much video after as you care for. PROFILE MANAGER - Save all the Ballistic and Zeroing-in data in the profile Manager for every weapon that you plan to use the X-Sight on. No worries about resetting everything up every time. Just create a new profile and you are ready to go. SMART RANGEFINDER - Our Patent Pending Smart Range Finder will make your life easier than ever. With only two clicks and a simple shift of the scope you will be able to range your target. Once ranged in your reticle will automatically adjust its point of impact. No more guessing, chart memorization or complex calculations. VIDEO RECORDING - Make capturing your experiences in stunning 1080p full HD a regular part of your adventures. No more missed opportunities for that once in a lifetime moment. Record videos and take photos to bring your adventures back home to share with friends, family and on social media. SMOOTH ZOOM - Unlike many traditional optics, the silky smooth zoom helps you get up close and personal with everything you’re looking at. E-BAROMETER - The E-Compass let you know exactly what direction you need to head so you can move a little closer and get a better shot at that monster buck you’re tracking. GYROSCOPE - Improve ability to smoothly spot game by activating the built-in gyroscope & image stabilization! Steady your view and make the experience a lot more fun! E-COMPASS - The E-Compass let you know exactly what direction you need to head so you can move a little closer and get a better shot at that monster buck you’re tracking. BLUETOOTH AND WI-FI - By utilizing the ATN Obsidian app, you can control your device and view live streaming. Connect a phone or tablet and view everything simultaneously. ADJUSTMENT PER PIXEL 1/4 "